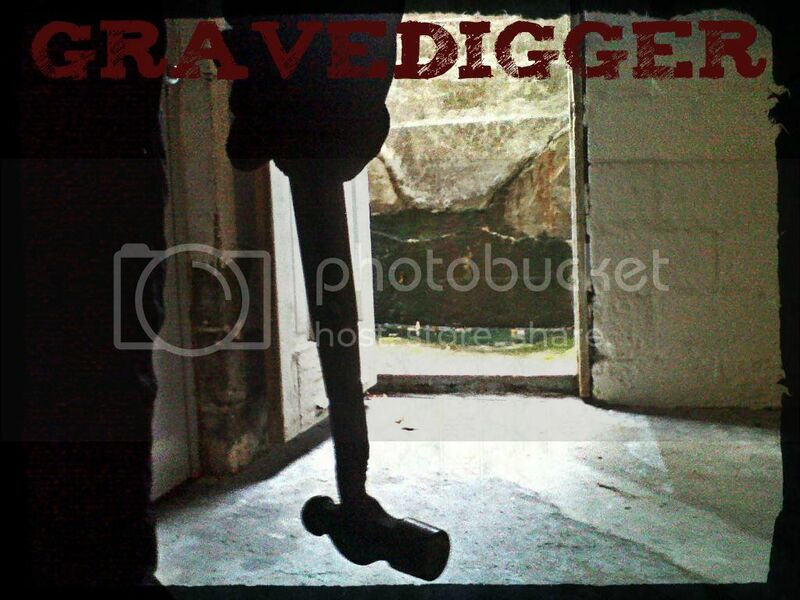 Currently filming, is 2013’s most gruesome tale of fear & fright "Gravedigger." A sinister collaboration between the minds of Award Winning Actor Keith Collins, Doug Bollinger (“Waltzing Anna”), Brandon Ruckdashel (“Co-ed Confidential”) and from the eerie ink of NY Emmy Award Winning Writer Joseph Pepitone & Billy Pepitone (“Stuck in the Middle”), comes a horrifying shock fest that will keep you on the edge of your seat and the brink of insanity throughout a terrifying journey of paranoia. A vigilante serial killer is stalking, killing and burying those he has judged guilty and anyone in this corrupt town could be next! Murder, Mayhem, Blood, Deception & NO way out are a few ways to describe this disturbing new heart pounding thrill ride. “Gravedigger” tells the story of Steve Borden who is a brilliant, young criminal defense attorney. As junior partner in a local, high end law firm, he makes his living defending the indefensible. When a case gone horribly wrong haunts him, Borden’s conscience begins to send him into a guilt-ridden spiral. Police Chief George Orkin is the town’s top cop. With more bodies turning up buried, District Attorney Mike Ruble suspects Orkin’s ties to crime boss Charles Muzzatti may be the answer to the case. Now, Orkin must deal with his own eroding sense of integrity to keep both sides of the law off his back. As paranoia rises and Borden, Orkin, Ruble & Muzzatti try to pin the murders on each other, could another, more sinister force be hunting them? Codes, morals and misguided views of justice collide when the law, the mob and the Gravedigger face off in a bloody battle that will darken the survivor’s souls forever. But will burying the guilty, bury the Gravedigger’s own guilt? Directed by, Doug Bollinger (“Waltzing Anna”,”Mail Order Bride”). Produced by, Keith Collins. Executive Producers John Stoerback, Michael Levine & Jeff Quinlan (Bare Knuckles). Written by, Joseph & Billy Pepitone. With a well-rounded cast including many special appearances and STARRING: Ron “Bumblefoot” Thal (“Guns N Roses”), Brian McRae (Former “NY Met”,”KC Royals”), Billy Sample (Former “NY Yankee”), Paul Grassi (ABC’s “The Mole”), Annette Dziamba (“The Apprentice”), Gregg Valentino (TLC’s “The Man Whose Arms Exploded”), Gervase Peterson (“Survivor, Season One”), Brandon Ruckdashel (“Co-ed Confidential”), Emilio Masella (Oxygen’s “Love Games”), Gary Garver (“formerly from the Howard Stern Show”), Erik Chopin (Winner of NBC’s “The Biggest Loser”), Keith Collins (“Stuck in the Middle”, “The Meat Puppet”), Dave Buchansky (VH1’s “Hollywood Ex’s”), April Hunter (“WCW”, ”TNA”), Billy Garcia (“Survivor: Cook Islands”), John Stoerback (“The Next Vigilante”), Theresa Galeani (“Cross the Line”, “I am Legend”), Cindy Fox (“The Naked Cowgirl”), Anastasia Smith (“NY Majesty Lingerie Football League”) & the iconic Mason Reese.